Those who have been following PPC Ian for a while know that I love MentorBox. 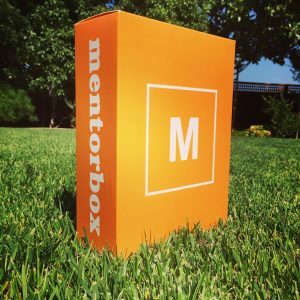 A program co-founded by Alex Mehr, Ph.D. and Tai Lopez, MentorBox provides a truly unique self-education platform. As a paying customer, MentorBox got me reading again, and has me consuming and putting into action two books per month! These are books that are taking my life to the next level. I’m investing aggressively in my self-education. 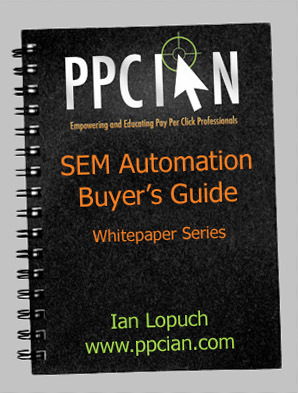 Having written a variety of posts here on PPC Ian about MentorBox and having filmed a variety of video reviews on YouTube, I often receive questions about the program. 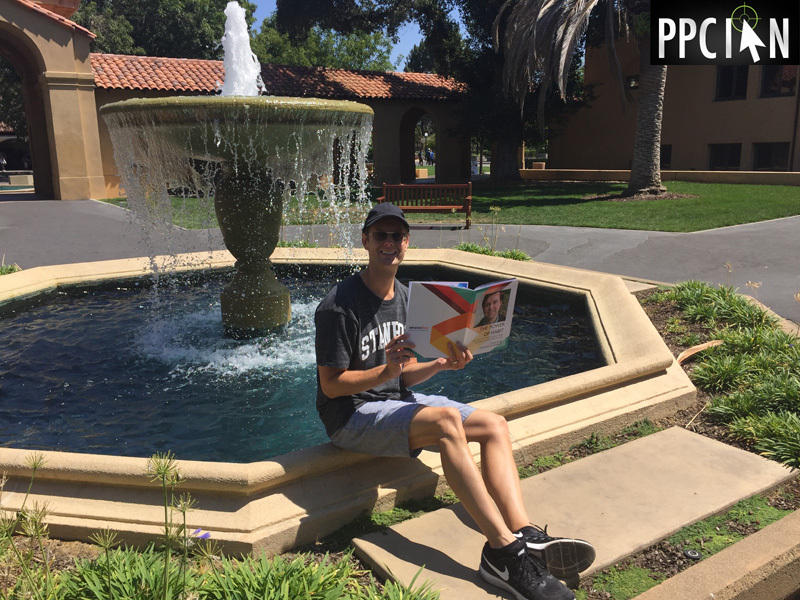 One of my recurring questions goes like this, "Hey Ian, it seems like MentorBox offers a variety of books, mainly around sales, marketing, and professional success in business. However, I was wondering: Does the program also mix in books about other topics as well?" Just recently, I received a book about spirituality called “You. Are. The. One.” by Kute Blackson. While I have enjoyed all of the MentorBox lessons that have come my way, this book is my favorite so far. In fact, I not only enjoyed the cheat sheet, study guide, nearly 2-hour video interview with Kute himself, but also read the book cover-to-cover. I don’t read all of the books in MentorBox, but I do from time-to-time when the topic really draws my interest. I consider myself a spiritual person, increasingly so over the last few years. Spirituality has become an important component of my life, and one that I want to develop substantially. Spirituality brings comfort, motivation, big ideas, energy, caring for others, purpose, and so much more! As soon as I received this book, I knew it was going to be a great one! Upon watching the video with Jonathan Kendall (COO at MentorBox) and Kute Blackson, you can clearly experience and appreciate the power of Kute’s delivery. Having grown up in a large church environment, Kute is a master of public speaking. In fact, for years he went to his father’s church in the middle of the night to practice preaching. I truly appreciate the preaching style of Kute’s delivery. He’s a pastor for the Internet generation. Kute Blackson really has a larger-than-life presence. His approach is grounded in confidence, knowledge, power, and caring for others. MentorBox adds a completely new dimension to Kute’s work because the video allows us to all experience Kute’s presence (and this presence does not come across in reading the book alone). It is a personal goal of mine to smile more frequently, so I really enjoyed seeing Kute’s smile throughout the video. Experiencing Kute’s smile and his ability to toggle between serious and happy topics is truly unique. Kute’s life experience is incredible and is the source of his great wisdom. I suggest enjoying this book to learn how real-world challenges and life experiences have shaped Kute’s philosophy and timeless wisdom. Lessons Learned From You. Are. The. One. I cannot even begin to summarize this book, because the lessons are so incredibly bountiful and deep. However, I want to take this opportunity to share three of my favorite insights from You. Are. The. One. (and the accompanying MentorBox materials). Kute explains that we all have greatness encoded in our genes. Literally, he says, "YOU ARE THE ONE." We also all have gifts, passions, and dreams. We have everything we need! The world does not owe us anything. Nobody owes us anything. Rather, we all owe the world our gifts. We are in a unique time in human history, and the world needs our gifts more than ever before. It is no coincidence that one has a particular dream. It is not by accident. Your dream has chosen you. Go after that dream with everything you have. Make sure that your dream aligns with doing greater good for society. It’s time to serve others! How many of you reading have negative thoughts come up from time-to-time? How about de-motivating thoughts, ones that tell you that you are not good enough or may never live the life you want? Reality check: Everyone has these thoughts. And, they are absolutely not real. Kute explains that thoughts are completely different from who we are. They are a representation of our brains trying to be cautious and protect us, a relic from old times. We need to observe our thoughts, but we do not need to dwell on them. If a de-motivating thought comes up, it’s important to realize that it’s just a thought. And, it’s important to give it no power! On a higher level, Kute asks us to challenge our entire way of thinking. Are there certain beliefs that we hold because of our conditioning? It’s important that we all seek our own truth. We should not allow our minds to take away our freedom and dreams. If you’ve been reading PPC Ian for a long time, you may remember that I like to Pray While I’m Running. In a similar way, Kute explains that life is a meditation. Spirituality is everywhere. Spirituality should be a part of every moment of one’s life. There is no separation. Life is about enjoying the ordinary moments, and there is deep meaning in all moments. Each year, I’m a big fan of giving holiday gifts to business partners, friends, co-workers, and family. The Five Minute Journal has been a favorite gift to give, and I always have a stack of them ready to go. In fact, I just handed out two Five Minute Journals last week! Before I sign off for today, I want to let you know that I am an affiliate of MentorBox. What does this mean? When someone purchases via my affiliate link, the customer pays the same price, however I earn a commission. If you enjoyed my review today and plan on signing up for MentorBox anyways, I would be forever grateful if you signed up via My MentorBox Link (affiliate link). It would mean the world to me, and help keep the lights on here at PPC Ian. Of course, you can always head directly to MentorBox as well. At the end of the day, I just want to see you thrive. I wish you all the success in the world! Want to learn even more about MentorBox? I have a variety of posts here, and YouTube videos too! I hope you enjoy all of them. Another fun recent one is My 15-Day MentorBox Challenge. Learn how I personally approach MentorBox each month, getting maximum time efficiency and results. On a related note, my other recent post Is MentorBox Worth It? (Of Course!) elaborates on my MentorBox process even more. I think you will enjoy these posts, as they mark the evolution of my own personal self-education strategy. Just beginning on your journey? My Original Mentorbox Review is a brilliant place to start, offering an overall review of the program and also several video reviews. It’s the hub of all things Mentorbox here on PPC Ian. Today, I realized that I made an entrepreneurial mistake, one that created a setback (monetary, time, and some ego too). There’s no doubt about it: Being an entrepreneur has its ups and downs. Today, I experienced one of the entrepreneurial downs. When I realized the magnitude of my mistake, I ended up dwelling on the mistake way too long. When you’re an entrepreneur, your work has so much meaning, it’s so personal. This is a good thing, it’s that sense of pride and ownership that makes entrepreneurship so rewarding. That being said, mistakes can really hit home hard, as they challenge your life’s work. A little more background: This is one of those mistakes that’s done. I Just have to sit back and let time pass, something that can be challenging for someone used to taking action. While I do not consider myself an expert handling these types of setbacks (I’m still growing and learning as an entrepreneur and student of life), I have compiled some strategies over the years that help. I want to share some practical business advice today for entrepreneurs facing challenges. The next time you make an entrepreneurial, business, or life mistake, I hope you can refer to this list and speed up your time to productivity and happiness. Today’s list is meant to help you move forward and leave your setback behind. Your most valuable asset as an entrepreneur is time, and the last thing we want to do is waste valuable time that could otherwise move one’s business forward. Let’s jump into my advice and tips! Once you’ve made that mistake (and/or faced a setback), it’s so easy to dwell and relive the situation over and over. I have to admit: I probably spent a few hours today analyzing my situation from every possible angle. Ultimately, one strategy that helped me move forward is finding small wins on other projects. I just started doing easy, small tasks such as approving invoices. Any activity can help one more forward. It’s all about creating momentum and moving on to productive work that can move your business forward. There’s a reason that I donate so much money to The Fender Music Foundation and Musicians On Call via Lopuch.org: I love music, I find motivation in music, and I want a bright future for music. Put your headphones on, find some motivating and inspiring tunes, and start listening. The music can get your mind off the challenge at hand. More than that, music brings us all together. When I’m facing a challenge, I love music that addresses challenges in a positive light! Just sitting at my desk, I was getting nowhere. I felt unproductive. So, I went outside for a walk. While the walk did not completely change things, it was a start. The fresh air helped clear my mind. Of course I’m going to make mistakes and face setbacks! After all, I’m not in charge here. After my mistake, I ultimately ended up praying and placing my worry on God. He’s got it from here! If you’re a spiritual person, mistakes can be a really wonderful time to embrace your spirituality. Time is an amazing force. In the moment, setbacks can sometimes take over. They seem like the only thing that matters. However, with each passing day, your setback shrinks and fades. A year from now, your setback will seem small. Five years from now, you may not even remember what you were worrying about! Time can be your greatest ally. At the end of the day, none of us are immune from mistakes and setbacks. 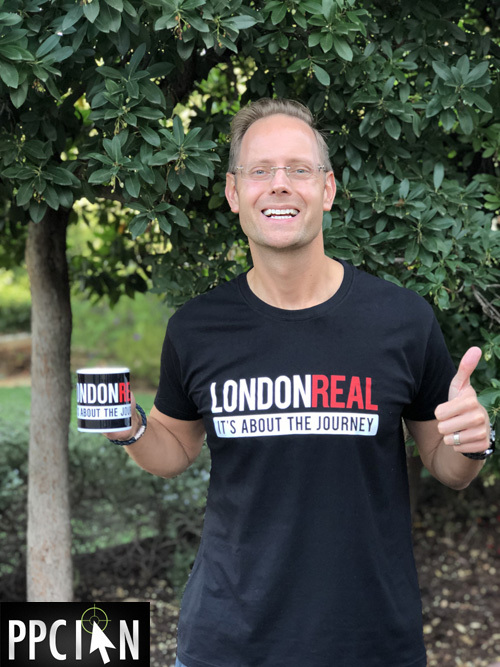 Being an entrepreneur sets you up for more challenges than the average person, because you are pushing the limits, multitasking, wearing many hats, and starting something new from the ground floor – all incredibly hard (yet rewarding) work! The reason I’m sharing my story and advice today is to show everyone that I am human (just like you), despite my great success. We are all in this together! If one does not make mistakes, they are not pushing themselves hard enough. If one does not make mistakes, how can they possibly learn? The silver lining from my experience today: I’m learning and improving, in real time. The next time you make a mistake, remember these tips and remember that you’re in great company! It’s all part of being an entrepreneur, and comes with the territory. Keep learning and moving forward! In life, your most valuable resource is time. You’ll find me blogging quite often about productivity tools and strategies because any incremental gain in productivity is an investment that will pay huge dividends. It’s unfortunate that certain people out there, often unintentionally, do not treat your time with value. Or, they just may not know the true value of your time. I’m talking about the dreaded tire kicker. Over the last few weeks, I personally experienced a tire kicker situation. 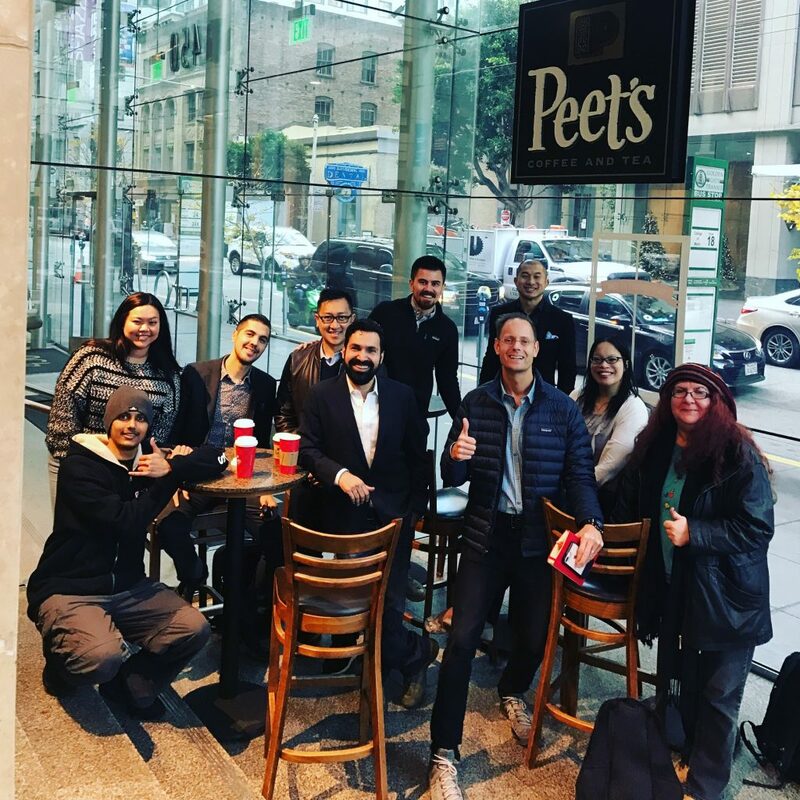 After spending about three hours in conversations and demos, I realized that the person/organization I was speaking to had a low likelihood of reaching a mutually beneficial business relationship. They were not even willing to step up to the plate with a conservative test investment. I was just wasting my time. Thankfully, my tire kicker detection (and handling) skills have matured over the years. Sensitivity is required. It’s a small world and I want to have the best reputation in the market. I want to do the right thing, because I care about others. And, of course, I always want to be open-minded and receptive of new opportunities that may be great. I have a sixth sense of sorts in detecting a tire kicker. It was not always this way. In my early days, I would say "yes" to everything. My years and years in business and life have taught me the ability to read people, ask questions, and predict outcomes. While the reading of people can take time, asking questions is something I want to emphasize to all readers. When a new opportunity comes your way, don’t just say "yes". Think about the opportunity, search within yourself to see if there is alignment with your own goals and dreams, and then ask a ton of questions. It’s through these questions that you can determine (1) if the opportunity is of any interest and (2) if there is a likelihood that a mutually beneficial outcome will happen (of if the other party is just kicking the tires and using your most valuable resource, time). Bonus Tip: Ask for the money! In business, money is a valuable commodity. See if the person with whom you are speaking is willing to run a small test, one that costs money but not too much. If they cannot part with a small amount of money, they are likely just a tire kicker. Another Bonus Tip: Always be cordial and assume the best. Even if someone is not willing to part with money, perhaps they can be an advocate of yours in the marketplace. Even if you say "no", always be nice and helpful. Your reputation is everything. 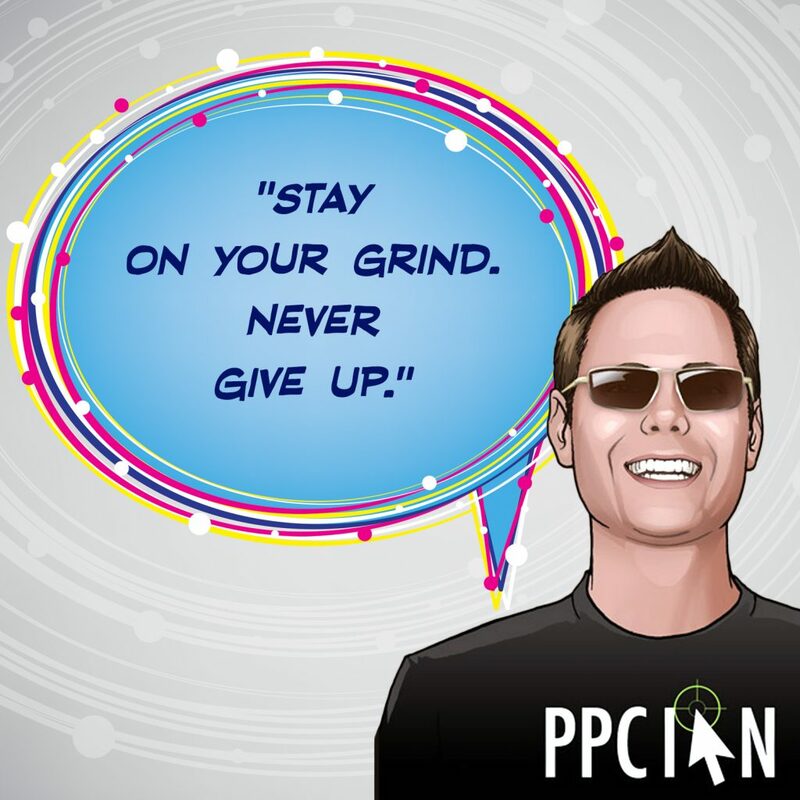 Have you seen my PPC Ian Business and Life Quotes? This page is one of my favorites on my entire blog. 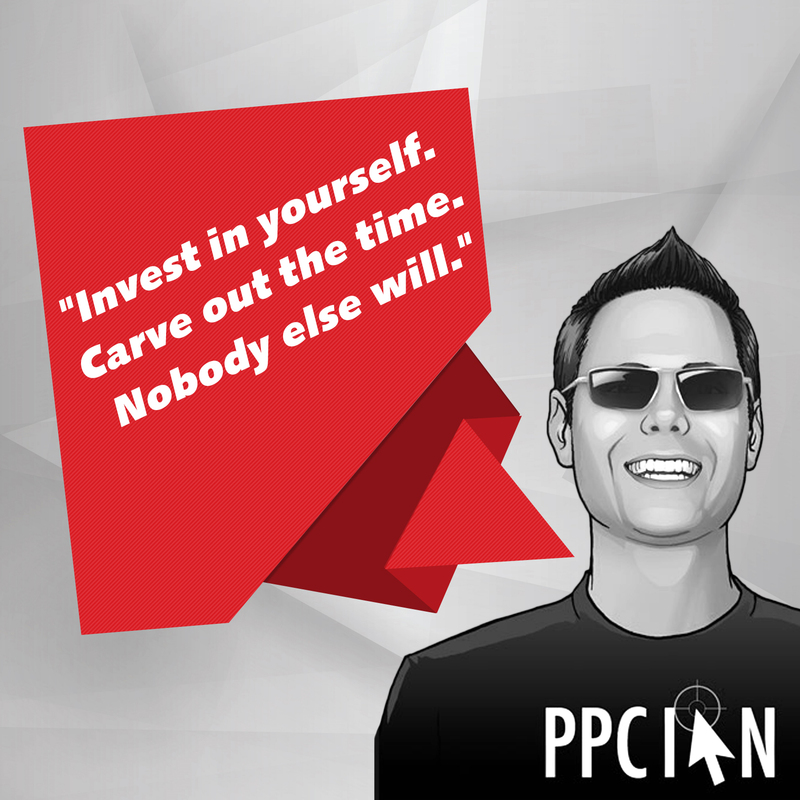 One of my favorite quotes is one that goes like this, "Invest in yourself. Carve out the time. Nobody else will." If you say "yes" to everything, you will never invest in yourself. You will never grow. You will never accomplish the goals that matter to you. From an investing standpoint, I just posted a video on YouTube that you might like. It’s all about paying yourself first, and investing in yourself before any other bills are paid. This video is the application of this concept to personal finance. I’m extremely picky in life. Time is more valuable than money, many times over. When it comes to business and work, I will say "no" to anything that does not further my business goals and objectives (the personal goals that I have on my plate that I like to set up in collaboration with other leaders at the beginning of each year). In my personal life, I will be even more picky and say "no" to anything that is not giving me a 100-1000x return on time (in money or happiness). Bonus Tip: Put a dollar amount on your time. This dollar amount does not have to be your salary. In my personal life, I value my hourly rate as several times my work salary. If the request does not bring me that equivalent value (either in raw money or happiness), I will say "no". Another Bonus Tip: Minimalism is really popular these days. Think about saying "no" as minimalism for your mind. Your home is clutter-free. It’s neat and organized. Do the same for your mind by saying no and staying hyper-focused on the things that matter most. Reminder: Saying "no" does not have to be mean. Always say "no" in a cordial and graceful way. Be thankful. And, know that you are actually doing a good thing for the other party, since it’s always better to give a clear "no" than have unproductive discussions drag on. I recently learned all about routines from The Power of Habit By Charles Duhigg, a book that was part of last month’s Mentorbox. (As a side note, you may want to check out my 15-Day Mentorbox Challenge to learn more.) Positive routines can truly transform ones life, and Duhigg discusses the cue, routine, reward cycle at length. As a result of this book, I have been placing more and more routines in my life, ones that reinforce my personal goals and dreams. My day is filled! I even have routines for reading the Bible, exercising, and filming YouTube videos. (In fact, I’m producing more YouTube videos than ever before thanks to the power of my new YouTube habit!) Since my day is already filled with routines that are aligned around my life goals, I have very little free space left for net new items, making it easier for me to say "no". My Tip: Fill your own day with routines that align with your life goals. Then, it becomes super obvious when to say "no". I’m just getting started on YouTube, however my channel is already scaling. I have effectively multiplied myself since there are now 3.5 of me. You’ve got the real me, and then you have another 2.5 of me on YouTube speaking and educating around the clock. (My PPC Ian channel now experiences around 2.5 days worth of watch time on a good day.) And, you’ve got this blog and my social media too. I’m out there educating, empowering, and enriching online. Even if I’m not physically there (the real me), you’ve got the virtual me available at all times, around the globe. I have to be guarded with my time because it is so scarce and valuable. I want to invest my time to achieve my lifelong goals. That being said, I like to think of my web presence as my way of never saying "no" again. It all comes full circle. While I may not have time to work on each and every opportunity, I do aspire to add value to everyone who crosses my path. This can be accomplished at scale thanks to the amazing leverage available online! My closing tip: Be very selective with your time, and don’t be afraid to say "no". That being said, try to help everyone to the best of your ability, leveraging the scale and connectivity of the Internet. The last few weeks, I have been struggling to start a particular project. It’s a data analysis project, involving pivot tables and large data sets in Excel. While I acquired all the information and data sets required to perform the analysis, I just couldn’t start the actual analysis. As someone with a multitude of projects on my plate, I always prioritized other projects above this one. Last week, I figured the time had come. I needed to conquer this project! Today’s blog post is a productivity-focused one, highlighting my experience on how I tackled this project while having a blast. If you’ve been reading my blog over the last few months, you have probably seen that I’m a fan of the Mentorbox book club program. Mentorbox has gotten me reading and learning, while optimizing my valuable time. One of my takeaways from last month’s Mentorbox: According to Terry Sjodin, author of Scrappy, showing up is the most important part of execution. To execute on this very project (or any other challenging project), I just need to show up! Terry’s advice rings true to me, based on years of personal experience. Every time I experience one of these blocks, I always find that it’s all mental. The anticipation of doing the work is always incredibly different from performing the actual work. I knew I just needed to start, and the rest would be great! Over the years, I have learned that your primary office environment is not always the most productive space when one is facing a creative block. When I say "office" here, I’m really referring to your home base, the place were you perform most of your work. If you work at a large corporation, this is likely your corporate headquarters. If you’re a scrappy entrepreneur, this could be your garage. If you’re a consultant, this may be the office of your big clients. (If you’re a really busy consultant, your home "office" may even be an airplane.) Your home base becomes comfortable. It’s easy. When things get too comfortable, complex projects that require creativity and a bit more may look intimidating in that easy environment. Your home base may cause your creative block. I used to work in a corporate office environment where it wasn’t easy to leave to actual building. The surrounding community did not offer many places to go, and my schedule was stacked with a plethora of meetings. What did I do when facing a block? I’d literally lock myself in a conference room and draw the shades so nobody could see in. I’d only let myself be interrupted for meetings and emergencies. Otherwise, I would stay in that conference room until the work was complete! These days, things are a bit different, and I have more flexibility over my workspace. 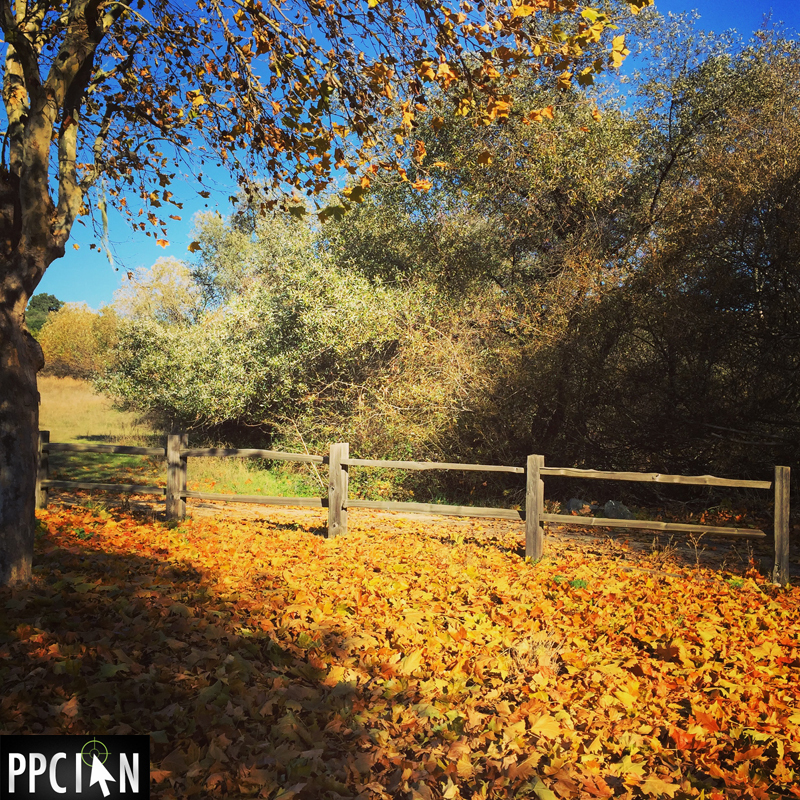 In facing my work block, I decided that I would leave my office for the day, by foot. I would walk around the community, take myself to lunch, Starbucks, the local park, and where I needed to go to feel inspired. I would immerse myself in thought, mix work with exercise (fast walking), and enjoy a new work environment. I would not go back to the office or end my day until the work was complete! It just so happened that I had one of my most productive days ever. I found myself working as soon as I set foot out of the office. I worked straight through lunch. I worked for hours at Starbucks. I truly enjoyed the change of pace and produced some of the best analysis in months. In fact, I finished the analysis a bit early, leaving me extra time to jump into another project, all before ending my work day. A while back, I wrote a blog post about Time Management Tips for Digital Professionals. One of my tips is doubling down on bursts of energy and getting as much work done in a short timeframe as possible. Mixing up my workspace last week not only conquered my creative block, but also instigated a burst of energy where I produced great work in a short period of time. Also thanks to Mentorbox, I’m actively analyzing and managing my habits these days. I’m improving bad habits and introducing new, great ones. When I run an experiment like this one and have such great results, it’s easy for me to conclude that I have a new habit for my workweek. Each week going forward, you will now find me spending one day "out in the field". In fact, this very data analysis project has a part two that I’d like to conclude this week. As soon as I have the data set required to perform my analysis, I’m going to take another walking venture into my local community to get the work done while having an amazing day! If you’ve been following my blog for a while, you can probably tell that I’m heavily invested in my career and professional success. This can be a good thing, a great thing. It can also be a risky thing if you forget to invest in yourself. After all, you are your greatest asset and any investment you make in yourself will multiply many times over in your career, life, and overall success. Even during the busiest times at work, make time for yourself. For me, 2016 was all about getting into great physical shape. Thanks to my amazing wife engineering a complete overhaul of my diet, thanks enjoying a more active lifestyle than ever before, and thanks to a renewed fitness routine, I lost 25 pounds while gaining lean muscle. I’m in the best shape of my life. Continuing my theme of growth and personal improvement, 2017 is my year of knowledge. 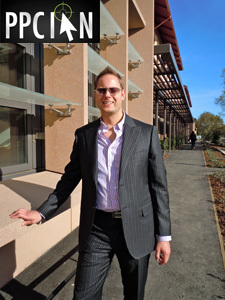 Many of you know that I made a career shift from technology into commercial real estate. I’m like a sponge, absorbing everything I can. My knowledge growth is in full effect, and I couldn’t be more excited about my professional growth. However, I have long been aware that the greatest leaders are not just proficient within their area of focus. Rather, they become experts across a variety of subjects. They bring forth knowledge from different corners of the world to create something completely new. In fact, this is why many believe Bill Gates has his famous book retreats. It’s said that he’ll sit down with a stack of books, all of which are completely different, and read them in parallel. This process challenges the mind and forms new connections. This all got me thinking: I want to invest more time reading. I want to greatly expand my knowledge. I know that this process will trigger exponential growth in my career, life, and overall success. However, like many of you, I realized that I just don’t have spare time. I’m willing to make some spare time, but cannot read all day. Then, while on Facebook one day, I noticed that Tai Lopez (avid reader and social media legend) and Alex Mehr Ph.D. (previously co-founder, CEO, and President of Zoosk) launched a new business called Mentorbox. As soon as I learned about this new product, I was immediately intrigued and signed up. Now, three months later, I want to share my experience with all of you. It’s literally a box that you receive in the mail each month, packed with two curated books, helpful materials, and knowledge. Each month’s Mentorbox includes: two curated books (related to health, wealth, love, and/or happiness), two cheat sheets that summarize the books, two study guides that transform reading into action, two bookmarks with notes specific to each book (a small but very helpful feature), a USB flash drive with helpful videos walking you through the books, and a motivational quote magnet. It’s a lot of value for sure! Mentorbox costs $89.95 per month. It appears to be easy to cancel at any time. Before my order goes through each month, I get an email asking me if I want to keep going or cancel. I have no intention of canceling anytime soon, but feel good about the way Mentorbox treats customers. Why Do I Love Mentorbox? As a really busy professional, I don’t have a lot of time to curate my own books. I want to read the best books, the ones that will give me the most value. However, I just do not have hours on end to research. It has been said that Tai Lopez has the second largest book club around, second only to Oprah’s. 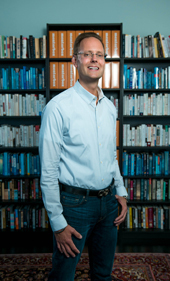 This is the guy who reads a book a day and has leveraged his knowledge to do some pretty amazing stuff. As someone with a digital marketing background, I respect what Tai has accomplished in social media. I find incredible value in the fact that Tai and Alex are personally curating books each month, keeping me focused on the books that will drive the most value for me. Continuing upon the last theme, the cheat sheets and study guides save me a tremendous amount of time. 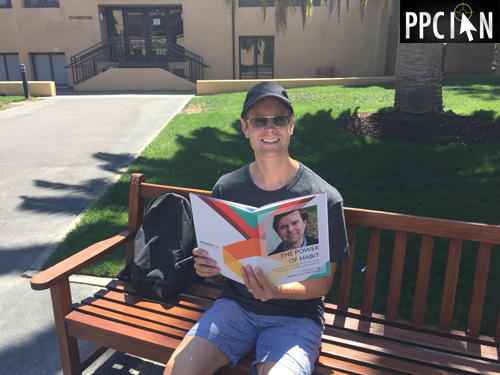 It can take a lot of time to read a book, especially when one of them is 660 pages (Money: Master The Game By Tony Robbins). Here’s my strategy: I like to start with the cheat sheets. Then, I proceed to go through and start filling in the study guides. Then, I’ll read the book. I will not read every single word. Rather, I will really hone in on the chapters and concepts that appear most interesting to me. As I read through, I like to refer to the reminders on the bookmarks, too. Last, I’ll fill out the study guide if I have additional time. This process not only saves me time, but also increases my comprehension, retention, and action. Given all of my responsibilities, I feel like two books per month is an aggressive cadence for me, a perfectionist. I’m the kind of person that has to read books cover-to-cover, and therefore I’ve historically been a slower reader. This new Mentorbox paradigm has challenged my process and pushed me out of my comfort zone. Two books per month is currently challenging me (along with all my other responsibilities in life), but I enjoy the challenge. As mentioned earlier, Mentorbox comes with a USB drive each month with helpful videos. I have not taken full advantage of these yet. Why? It really comes down to time. I just don’t have much time. I have found that Mentorbox works for me without the videos. Could my experience be enhanced with the videos? Without a doubt. I just checked out the latest USB drive and it includes so much value, including a proprietary video interview with the author of one of this month’s books, The Obstacle Is The Way by Ryan Holiday. In fact, Ryan worked with the Mentorbox team on the study guide. How amazing is that? Here’s the critical point, however: You don’t have to take advantage of everything in Mentorbox to get tremendous value. The key point, in my opinion, is to just get started and then grow from there. I’m still evolving my own process. The value created, in my opinion, far surpasses $89.95 per month. Just think: How much do you spend on your cable television each month? What’s more important to you: reading/learning or watching TV? I’m not saying to give up TV. In fact, I do enjoy watching some good shows. That being said, $89.95 seems so reasonable to me. How much of my time would it take to simply curate two books each month? How much faster am I at reading and absorbing the concepts thanks to the cheat sheets and study guides? Can I even put a price on the fact that I truly look forward to Mentorbox each month and it motivates me to stay in my high growth zone? These days, you’re going to see a lot more posts on my blog about business, investing, and growth in general. I’ll continue to include digital marketing-specific posts, from time-to-time. However, my mind is in other places these days. 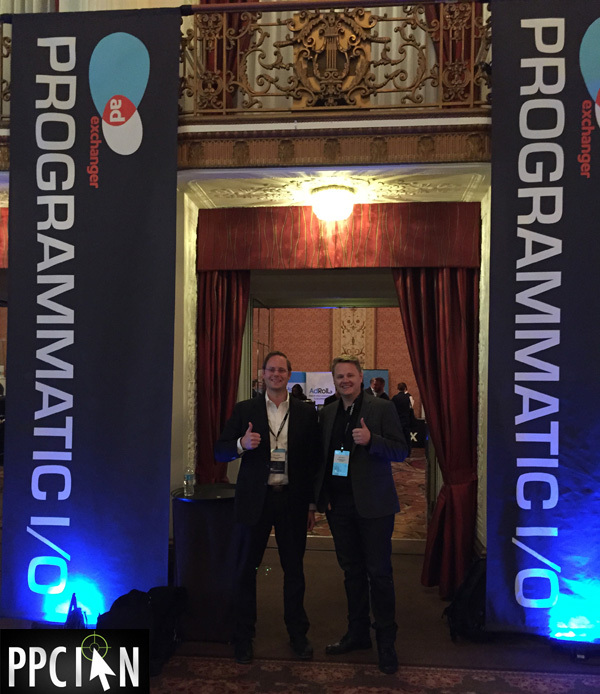 I’m thinking beyond digital marketing, and want to share that journey with all of you. I hope you find this review helpful, and I hope I’m able to impact at least one of you to pick up reading. As a closing thought, I want to share an idea… Do you manage a team at work? If so, you’re probably looking for ways to add value and keep your team in high growth mode. 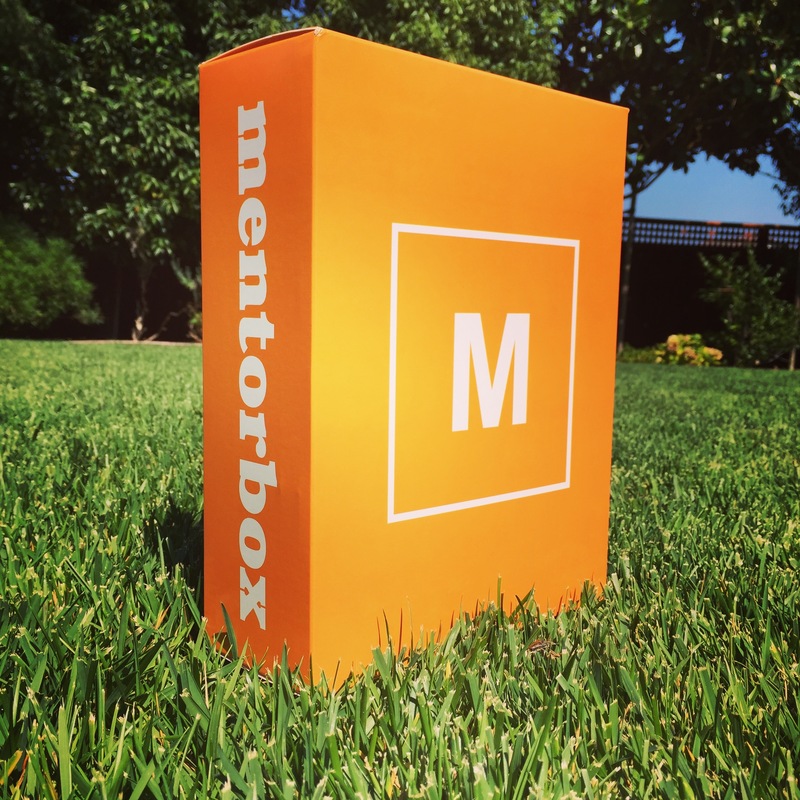 Why not purchase Mentorbox for your company? This could be an amazing team exercise and team motivator to have this wealth of knowledge coming into the office each month. Anybody else reading on the Mentorbox program? Please share your experience, would love to learn what you think about Mentorbox. If you find this review helpful and are considering signing up for Mentorbox, I encourage you to use My Mentorbox Affiliate Link. I’ll earn a commission which helps me keep the lights on here at PPC Ian. If you sign up via my affiliate link, I’ll be forever grateful. Thank you in advance for supporting my blog. If you found this written review helpful, you may want to watch my video reviews as well. In my first video, I’m thrilled to share the top five reasons why I love Mentorbox. In my second video, I’m thrilled to unbox my newest Mentorbox right before your eyes. If you’re wondering exactly what you’ll receive in Mentorbox, this video is for you. In my third video, I share my top five lessons learned from Mentorbox so far. You’ll get to see all of the books and materials I have received, and enjoy insights from my personal journal. In my fourth video review, I address specific questions from Mentorbox skeptics. If you’re still unsure whether Mentor Box is for you, and you may even have some active concerns running through your mind, this video may be of particular help. As a new update, I just completed my first ever 15-Day Mentorbox Challenge. What’s this challenge all about? I pushed myself to complete this month’s Mentor Box program in just 15 days. I actually ended up finishing in 8 days (since 7 of the days were sick days). Read about my experience and check out my extensive Mentorbox diary, highlighting my challenge in its entirety. (Also, my write-up has a really neat video review too.) My conclusion: This experiment worked really well and I will always be experiencing Mentorbox this way going forward! Learn even more about Mentorbox in my brand new blog post titled Is Mentorbox Worth It? (Is It Worth The Money?) This blog post highlights (in great detail) my journey to complete Mentorbox in 7 days! And, it goes through the question of whether Mentorbox is worth it. (Hint: It’s totally worth it.) As an added bonus, my new post has a really detailed video review of my latest Mentorbox! I put a ton of effort into this blog post and hope you enjoy it thoroughly. Here on PPC Ian, I receive many questions about Mentorbox. 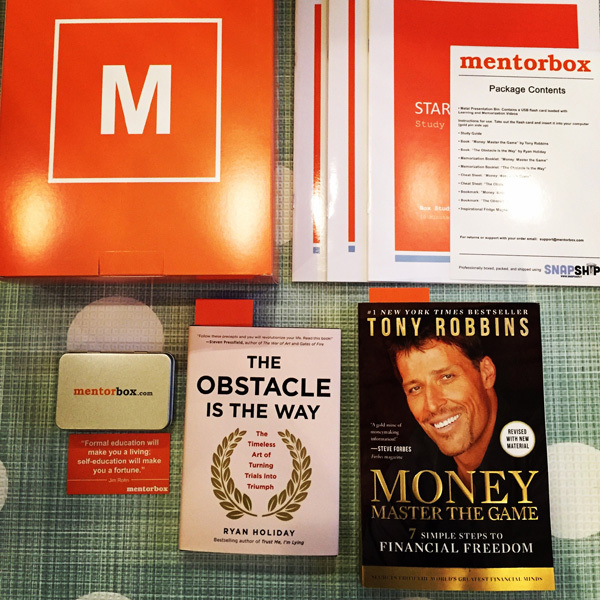 One of the very popular questions goes something like this: "Ian, Is Mentorbox primarily focused on sales, marketing, and business books?" While these topics are represented (and I love reading about them), Mentorbox features an amazing mix of books covering a variety of topics (all pertaining to improving one’s life). While the program includes sales, marketing, and business titles, there is also strong representation from other topics such as health/wellness and spirituality. In fact, my absolute favorite book from Mentorbox so far, a game-changer for me, is one all about spirituality. My latest Mentorbox Book Review covers my favorite book in great detail (and also offers a video review too). If you are considering Mentorbox, you will certainly find a great array of books! What If You Had To Pay With Dividends? $6.50 may not seem like a lot at face value. And, in my opinion, it’s totally worth it for the experience I received. That being said, the best investors and business operators know how to manage every single dollar. They treat experiences like this as a treat, rather than a day-to-day routine. Every last dollar counts, and this $6.50 represents far more underlying value when viewed through the lens of dividends, one of my favorite financial concepts of all time. Today’s post is meant to encourage you and me to ask one simple question before making any purchase, "What if I had to pay for this with dividends? Would I still make the purchase?" For those new to dividends, they simply represent the company paying a portion of profits back to shareholders. Many large companies, the kinds of companies I like to invest in, pay dividends quarterly. The best companies have long, consistent track records of growing their dividends, oftentimes for decades upon decades. The best companies keep their payout ratios, the percentage of earnings that are distributed back to shareholders, at reasonable levels so they have a buffer of security (and don’t risk a dividend cut when times get tough and earnings suffer). Dividends, in my opinion, represent perhaps the only true form "passive" income. You don’t have to do anything other than own stock in amazing companies (and keep good records). Let’s look at Starbucks and their dividend. Currently trading at $59.86 (as of 3/17/16 intraday), Starbucks pays shareholders a quarterly dividend of $0.20 (or $0.80 per year). That’s $0.80 / $59.86 = 1.34% dividend yield. In other words, for every $100 invested, I earn $1.34 in dividends per year. Now, let’s say I had to pay for my $6.50 snack/meal at Starbucks out of dividends. I would have to own $485.07 worth of Starbucks stock at 1.34% yield to pay for my single Starbucks experience ($485.07 * 1.34% = $6.50). Now, let’s say I went to Starbucks every single day of the year (like some people do). $6.50 * 365 = $2,372.50. In order to pay for this expense with Starbucks dividends, I’d need to own $177,052.24 worth of Starbucks stock at 1.34% yield ($177,052.24 * 1.34% = $2,372.50). To be fair, Starbucks does increase their dividend each and every year. In the last five years, for example, Starbucks dividend has increased by 108%. So, if I wanted to invest in Starbucks stock now, hold for five years, and then enjoy my $6.50 experience daily five years from now, I’d "only" need to invest $85,121.15 right now (assuming rate of dividend increase stays similar). How Much Would You Have To Invest To Make That Purchase? I’m not saying to avoid Starbucks here. I’m not saying to pinch every penny. I am saying to be conscious of every single business and personal expense. Whenever you make any purchase in business and life, mentally consider if you’d still make the purchase if you had to pay for it via dividends. Think about how much money you’d have to invest and how hard you’d have to work to save that capital before making your purchase. At the end of the day, you are a business. You are no different than Starbucks. If you can eliminate expenses from your life, your personal market capitalization increases. Remember from my recent post about Your Margin Is Made On The Margin, that margin is leverage. If you increase your margin (your profit) just a little bit, your market capitalization (or value) could skyrocket. This rule applies to businesses and people. Manage your own life as if you are a business. Whether the expense is small or large, all savings matter and create leveraged value. Dividends provide an amazing lens illustrating why margin creates so much value. I’d like to close bringing this discussion full circle. When you start saving money, what will you do with your extra cash? You may want to consider investing in dividend-paying stocks, especially those that have a consistent track record of increasing dividends (safely) year in and year out. Use your savings to start generating even more income, in a passive fashion, which will compound and snowball over time. You’re at the tipping point when your dividends become considerable, perhaps covering a big portion of your expenses (or even all of them). Add that dividend income with your own earned margin, and your own market capitalization will skyrocket. View all expenses through the lens of dividends. Would I still make that purchase if I had to pay for it via dividends? Leverage this concept to be considerate and frugal. Reinvest my savings in dividend-paying stocks, those that are safe and increase dividends over time. Reach the inflection point where my dividend income snowballs and I’m able to fund significant life expenses via passive dividend income. Maintain my conservative financial ways and dividends could cover all expenses one day. Disclaimer: Long SBUX. This blog post is just for entertainment. I’m not a financial advisor, and this is not investment advice. I’m a tremendous fan of business and life quotes. They fuel me with ideas, motivation, and determination. While I cannot take credit for today’s quote (it’s from an executive at a prior company), it’s one of the best I have ever heard. "Your margin is made on the margin." Today, I’ll share what this quote means and how it can deliver success in your business and personal life. We’re all in business to make money, or margin. Margin, simply defined, equals revenue minus cost. It’s your profit, the money your business makes. When businesses are new, they often focus on top line revenue growth. They may even drive a negative margin to reach scale. However, at the end of the day, all companies (both new and old) are valued on their projected ability to deliver margin (and ultimately pay back a portion of their margin to shareholders via dividends). Margin is a leveraged concept and every dollar of margin is so valuable. Let’s look at a real world example. Right now, Johnson & Johnson (NYSE: JNJ) is trading at $104.62, with a market capitalization of $289.48 billion and an earnings per share (EPS) of $5.48. Put simply, $5.48 is the margin per share, the profit. $104.62 / $5.48 = 19.1 price earnings ratio (or PE ratio for short). Every dollar of margin creates 19.1 dollars in market capitalization value! Margin, especially predictable and stable margin, is worth its weight in gold. Because every dollar of margin creates many dollars in market capitalization value (19.1 in the case of JNJ), margin is leveraged value. The savvy businessperson learns that it’s all about creating more margin, and also realizes that every little bit counts. If you are an entrepreneur, you have likely seen first-hand that it’s difficult to drive large amounts of margin. Starting a business is expensive. You have so many costs! Things get easier in the long-run, especially for large enterprises like JNJ, but even mid-sized companies with hundreds of millions in revenue face margin pressure. What can you do when your costs seem to pile up and you want to squeeze out margin? Just remember, every dollar counts and your margin is made on the margin! Be creative. Due to competitive forces and the large expenses associated with running a business, your core operation may not always drive a ton of margin. In fact, it may just break even. This is where your marginal activities come into play, your extras (or ancillary sales). Let’s take the example of a grocery store, a very low margin business. Perhaps you don’t make a ton of money from standard purchases. However, once your customer reaches the checkout line and starts picking up some of those ancillary products near the cash register (candy, magazines, and extras), your start earning margin. Your margin is made on those marginal (extra) products! The really clever supermarket operator learns to be creative and test. Why not introduce new, high margin products at the cash register? Let’s take the example of auto insurance lead generation business, a business that has faced tons of pressure over the last few years due to a competitive digital advertising landscape. Historically, such companies would buy paid traffic from Google AdWords, generate leads, and then sell those leads for a profit. 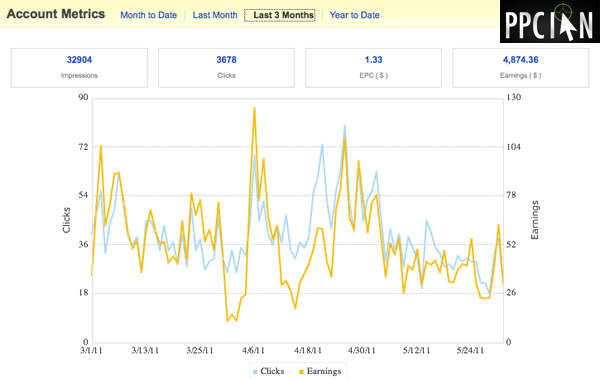 However, CPCs have risen on Google due to brand advertisers going big. Those same lead aggregators may be struggling to drive a profit. That being said, the savvy ones start testing marginal opportunities. Why not retarget your customer base with closely related ancillary products such as life insurance? Those ancillary or marginal products could take a break-even business to one driving a solid margin. The margin is made on those clever, marginal sales. Another example: The expensive urban apartment in San Francisco. Renting the apartment costs you $4,500. However, have a car and want a parking spot? That’s going to cost you an extra $500/month. With the expensive cost of land, construction, and operations, the apartment owner may not make a huge profit on base rent, even at those high rents. However, the ancillary revenue from parking could be pure profit. The clever landlord takes it even further an offers storage lockers for an extra $300/month. The clever landlord earns a ton of margin on the margin, turning a low margin asset into an incredible margin one! So far, I’ve been writing about margin from a business financial perspective. However, did you know that margin also applies to other aspects of your life? Let’s take the example of your career. 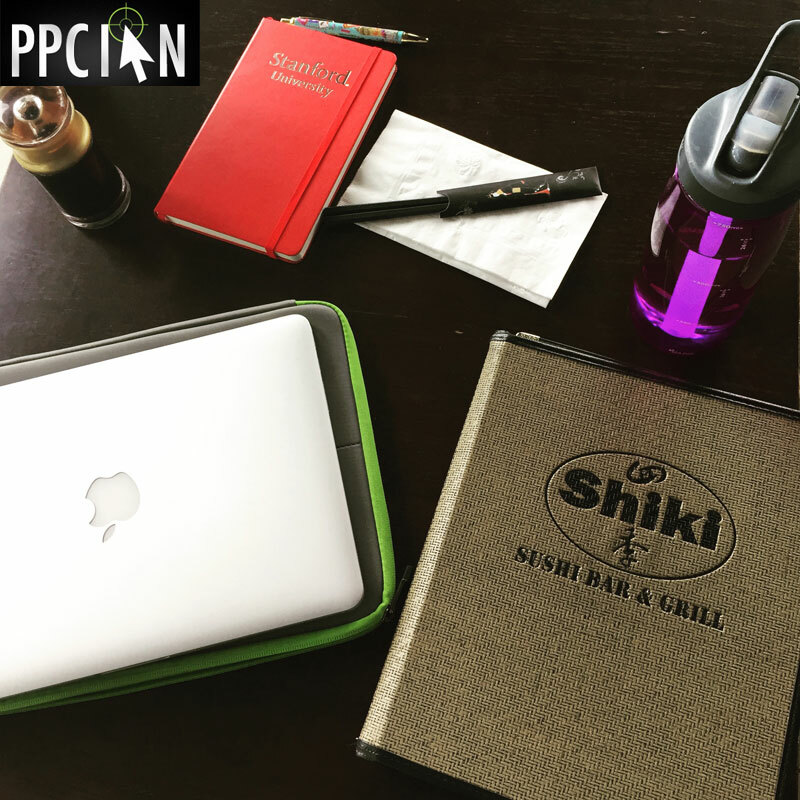 Do you work a standard 9-to-5 schedule, or do you bring some work home with you? By investing just a few extra hours per week at home, you will see incredible benefits in your career. That extra, ancillary time creates a levered payout on your own career’s margin. What about people? Do you manage others? Perhaps you do the basic 1-on-1s, career planning, and reviews. What if you invested just a little more time? What if you really got to know your team members? What if you took them out to lunch and went above-and-beyond to invest in their careers? This marginal time invested is your margin. It’s the difference between going nowhere and building a true team of superstars. It’s that little extra that makes all of the leveraged difference, developing great employees and great careers. What about your health? No time left after the busy workday? You would be surprised how fit you can get exercising just a few minutes each day on an intense and regular basis. Lately, I’ve been taking high energy breaks to randomly do a few pushups, squats, and/or sit-ups at random intervals during the day. Again, your margin is all made on the margin! What about investing? No money left after you pay all your bills? Consider investing just a little bit each month. The miracle that is compound interest will snowball your wealth if you’re in it for the long run. The list goes on… At the end of the day, the reason I like this quote so much is it gives hope and promise to any situation. Just when you think you are barely getting by, or barely doing a good-enough job, know that the extra amount invested can go exponential. Your horizontal level of growth (or lack thereof) can go vertical once you hit the marginal activities. In pursuing your dreams, never forget about those marginal, ancillary, clever activities. They are your ticket to success!